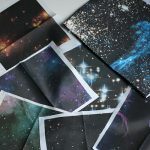 Many of my fabric patterns available at Spoonflower are photos taken by the NASA Hubble Telescope – where I’ve digitally altered the star fields to make them full-on repeats so that you could make an entire set of curtains, jumpsuit, or even SHEETS with these fabrics…with never-ending fields of stars, nebulas, and space dust. 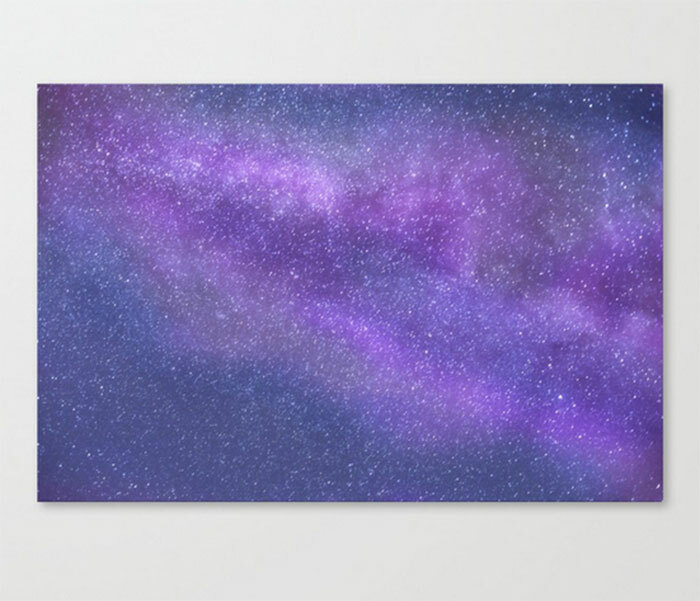 Though my own attempts at Milky Way and star photography don’t quite rival those of the Hubble Telescope…I do offer some of my star photography as art prints, tote bags, phone cases, and more! I shot the above photo in the middle of the night in Arco, Idaho when I took my family on an RV trip from our home in Oregon – having NEVER driven an RV before and somehow managing to drive 14.5 hours in one day to get there! 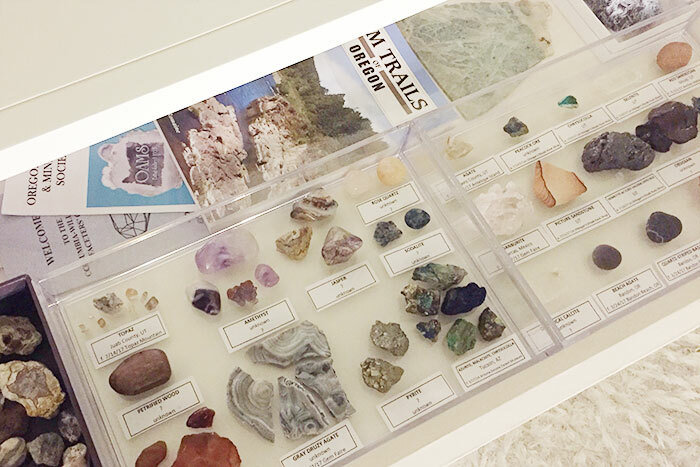 But in the past year or so I’ve started to get back into collecting rocks – I had a massive collection as a child but really had very little technical knowledge of minerals – and as an adult I’ve rediscovered it and started to take collecting and identifying rocks and minerals more seriously. If it’s even possible, I love taking macro photos of crystals even more than I do taking photos of stars! 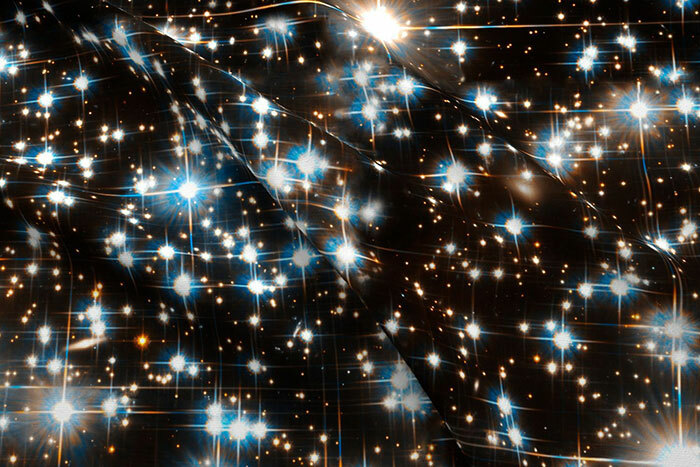 Because then making those photos into full crystal repeats is immensely challenging…and I LOVE a challenge. 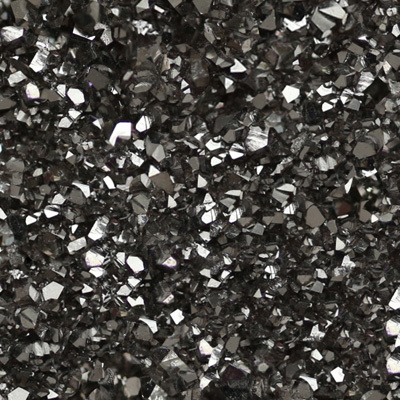 Sadly this is not actual hematite – but quartz that is fumed with silver titanium so it fuses to the outside of the quartz crystal. 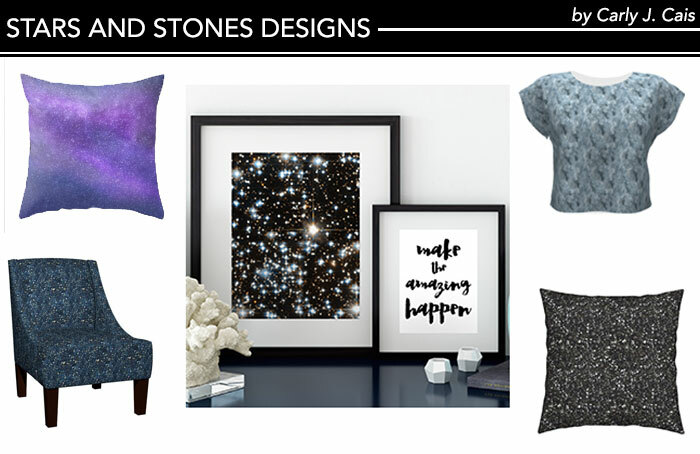 Purchase Grey Hematite Crystal fabrics, wallpaper, and wrapping paper on Spoonflower here. Another GOTCHA! 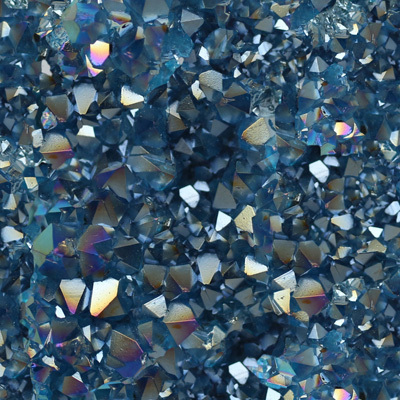 crystal – this is also quartz, fumed with gold to create an aqua tint, resulting in an aurora borealis rainbow-like coating. 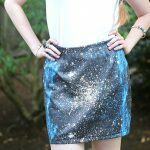 Purchase Aqua Aura Crystal fabrics, wallpaper, and wrapping paper on Spoonflower here. 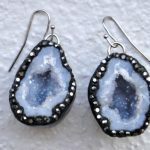 This is a true found-in-nature crystal – a beautiful pale blue with tiny crystalline structure throughout. It’s very brittle and I have to handle my specimen carefully! 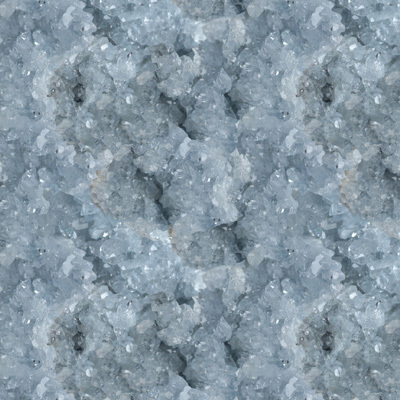 Purchase Light Blue Celestite Crystal fabrics, wallpaper, and wrapping paper on Spoonflower here. I’m currently working on repeats of Apophyllite (white large crystals, like snow), Pyrite (brassy gold), Kyanite (blue and grey columnar crystals), and Mariposite (a rare veined green marble). 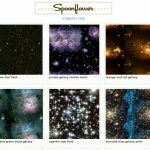 Sign up for blog updates to see new patterns, or follow my shop on Spoonflower or follow me as an artist on Society6!